Italy took advantage of two red cards to beat USA 30-10 in front of a record home crowd for the Americans in Houston, Texas. Italy took advantage of two dismissals to beat USA 30-10 in front of a record home crowd for the Americans in Houston, Texas. More than 17,000 watched as the teams met for the first time since September 2011, when the Azzurri won 27-10 in the pool stages of the World Cup in New Zealand. But this renewal of hostilities between the sides was spoiled as the Eagles struggled with 13 men in the second-half following red cards for Andrew Suniula in the 44th minute and Paul Emerick in the 65th minute. The tourists were already in the lead before either player was dismissed, with Carlo Festuccia capitalising on a botched line-out to score the opening try just three minutes in. 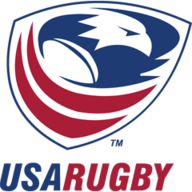 After the teams traded penalties, the United States then tied the match when Emerick scored their only try in the 27th minute. 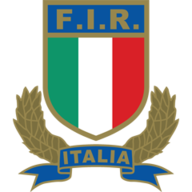 But Italy responded quickly, first with a penalty and then a try from Edoardo Gori, putting them 20-10 up before half-time. Things then began to unravel for the Americans, with Suniula dismissed for a late hit on Riccardo Bocchino and then Emerick joining his team-mate in making an early exit when he was punished for a shoulder charge. Italy took advantage in the final 15 minutes with Bocchino slotting another penalty before Kristopher Barton capped the win with a 77th-minute try.